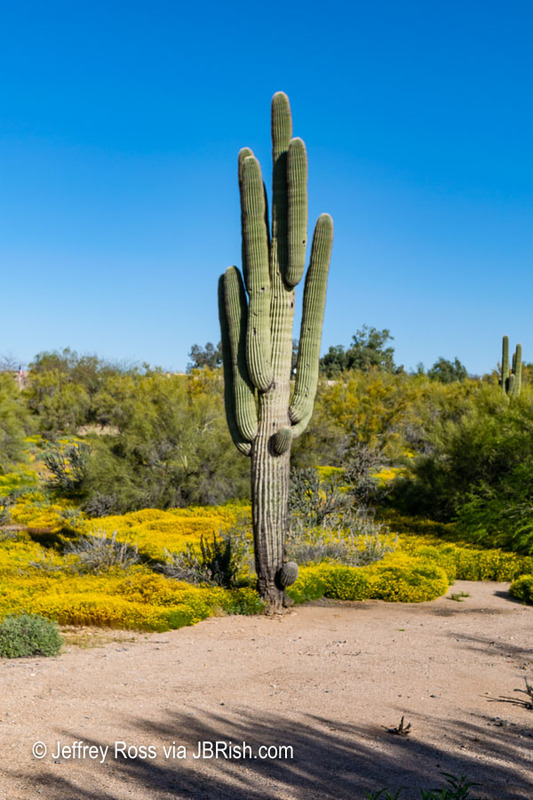 There is a pungent smell in the air this spring in our Sonoran garden and surrounding neighborhoods. It isn’t really a bad smell, but it cannot be described as a totally pleasant one either. When we first discovered this fragrance several weeks ago, we couldn’t figure out the source, but over the ensuing time period we discovered its origin. 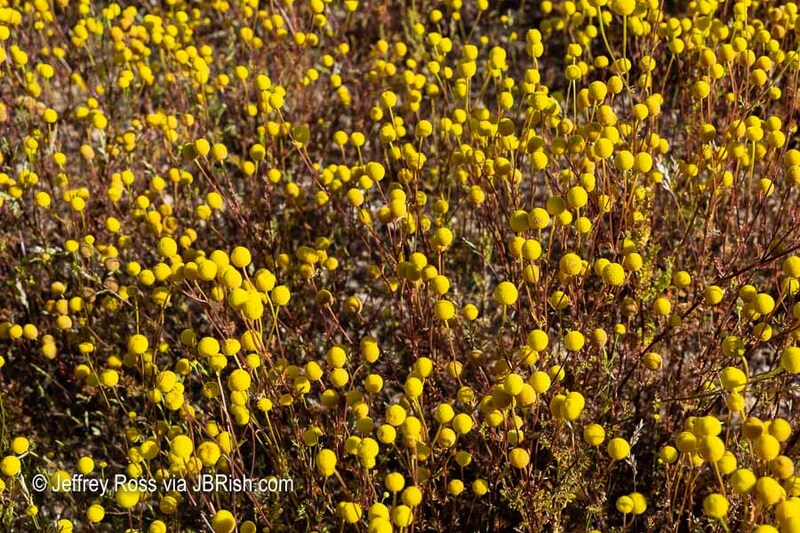 This yellow plant is called Globe chamomile (Oncosiphon piluliferum). 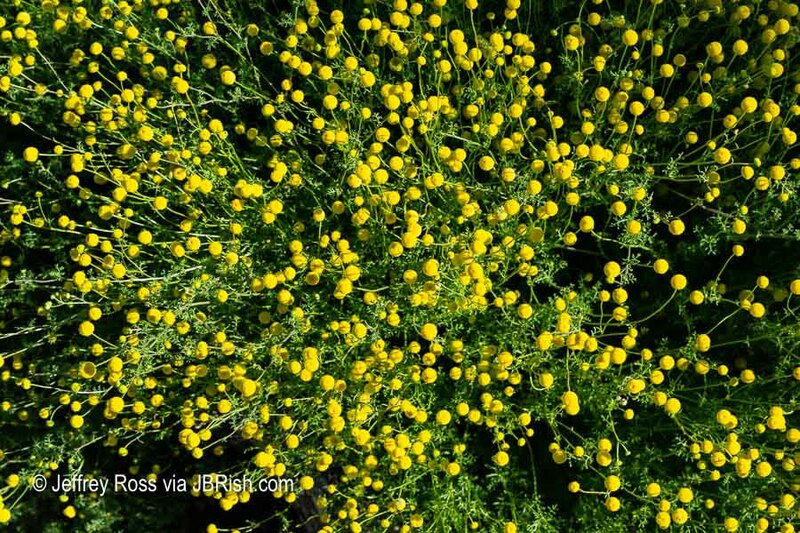 While seeds can be bought for Globe chamomile, I am sure most gardeners consider it a weed. 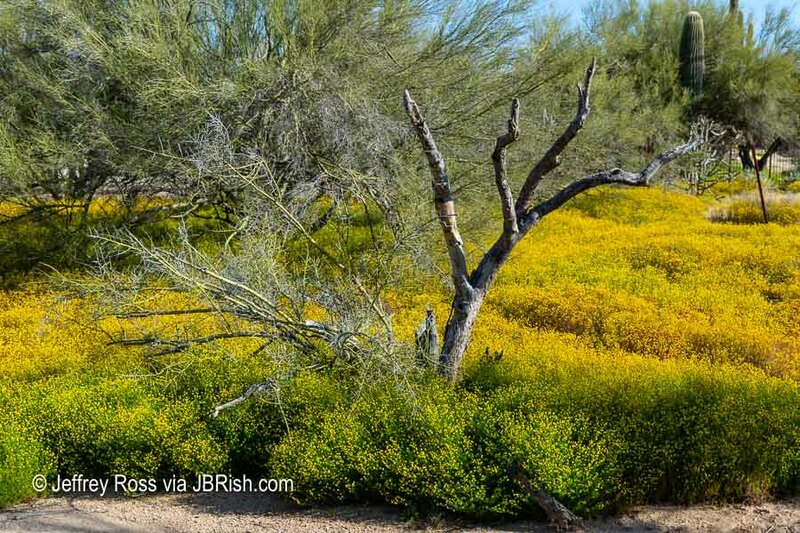 Because of the frequent and substantial winter rains, these yellow weeds are pervasive throughout open areas in the Phoenix/Scottsdale, Arizona corridor. You can see how thick it grows. It can be pulled out by the handful. 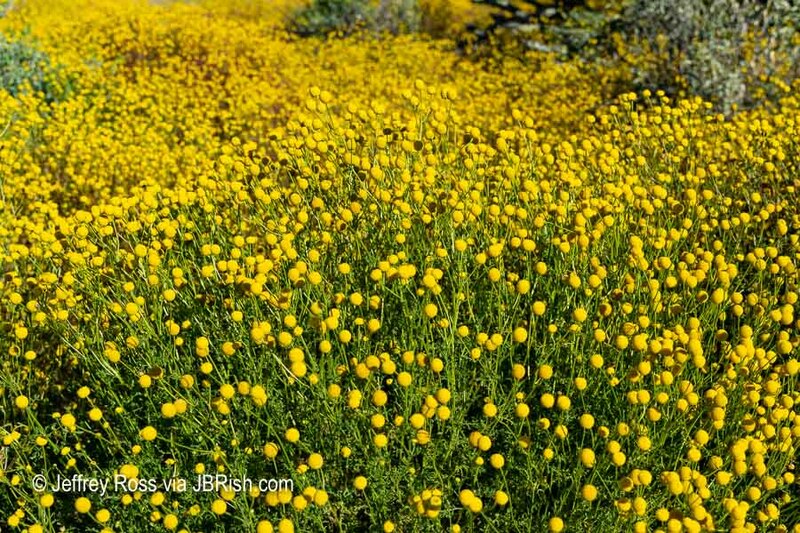 Globe chamomile is a South African native and it has found its way to various regions of the United States and other countries. 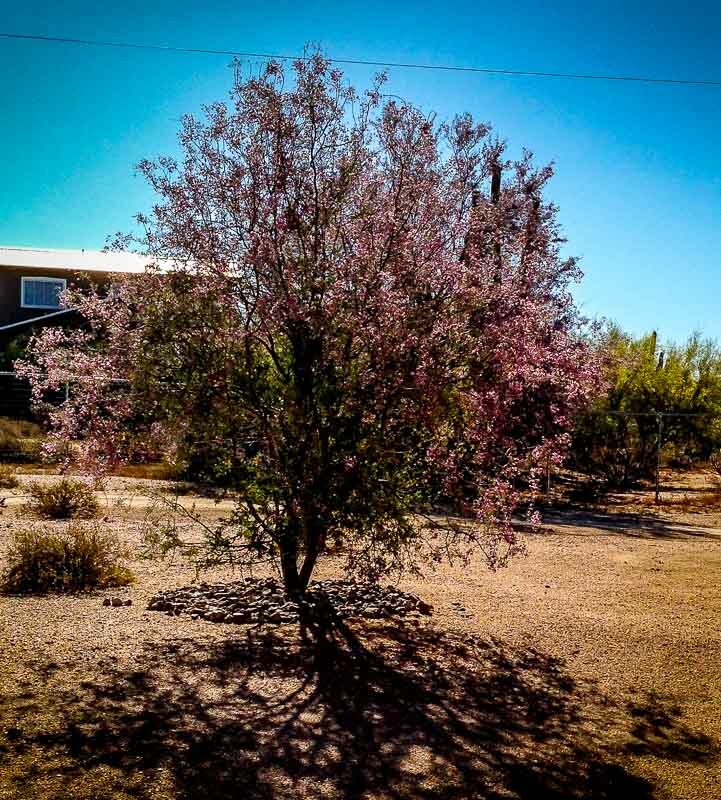 It has been in bloom for weeks, but the drier and warmer spring weather is now causing some die off. Notice the brownish stems (below). 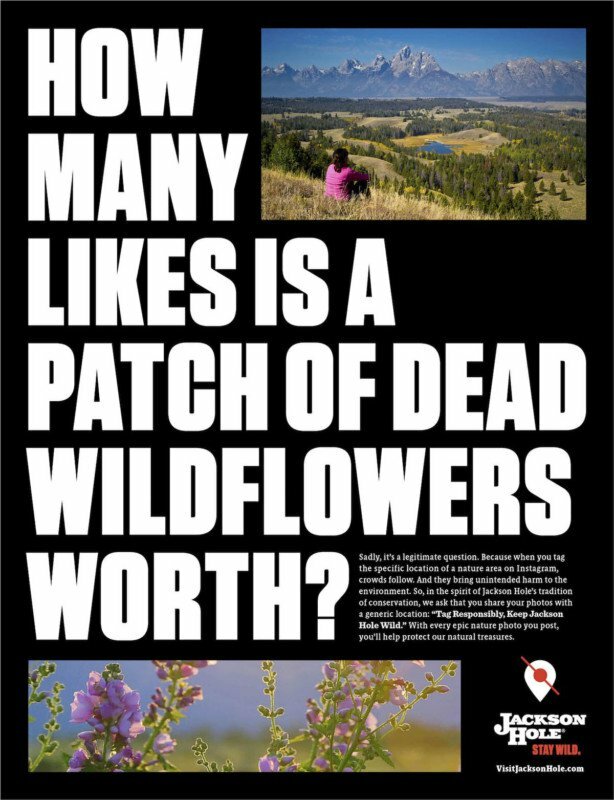 The flowers are still quite vibrant and fragrant, but they are definitely on the wane.